We use the same blood cleanup best practices into use when cleaning vehicles such as a car or truck. Blood Cleanup is a difficult job. It does not involve cleaning of the affected area. It also involves disinfecting the area, so it should be free from pathogens. Pathogens can cause serious health problems and diseases. Due to this, it requires proper sanitation. Most body shops are not prepared to do this deep cleaning. 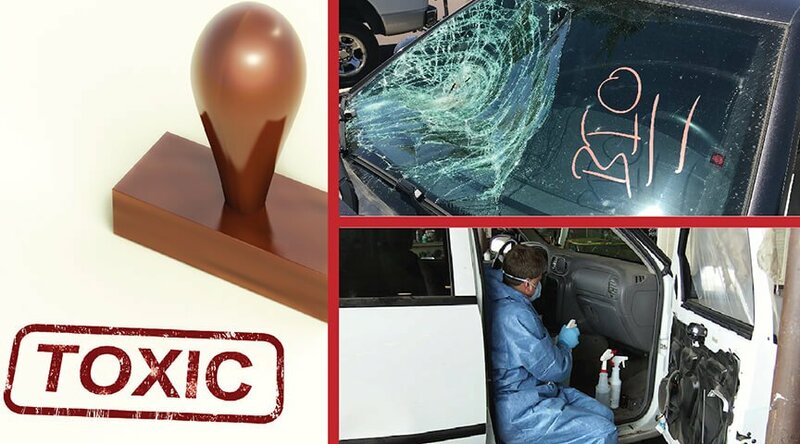 One of our specialties has been vehicle biohazard cleanup. 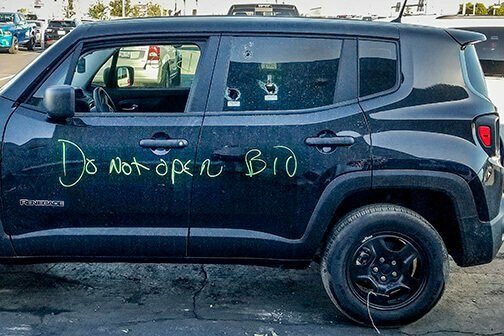 AZ-BIO is a trusted partner with many body shops and insurance carriers. We are a trusted partner with many body shops and insurance carriers. Contamination can happen in many ways. We find this more commonly occurs because of automobile accidents and suicides. Our automobile bio cleaning teams are trained to clean all surfaces within your vehicle. 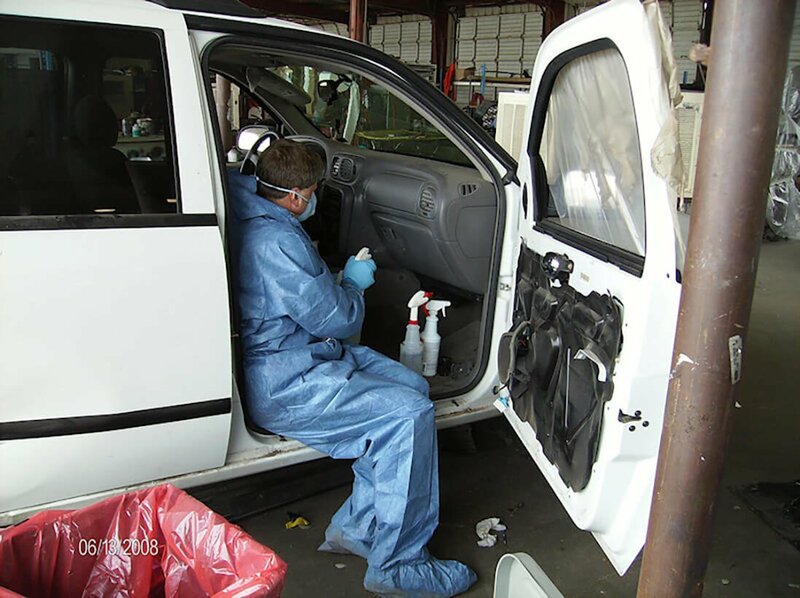 With our advanced cleaning techniques, they can clean all aspects of vehicle contamination including cloth seats, leather seats, dashboards, center consoles, contaminated trunks, floorboards, windows, glass, carpets, and headliners. We know that most families are concerned with the cost. However, in many years of working in this industry, we have found that most insurance companies will cover all or almost all the cleaning expense for the unfortunate event. In most cases, they will cover the complete cost of the cleanup and the cost to restore the vehicle back to its original habitable and clean condition. We have worked with the insurance industry for many years and we have a claims specialist on our staff who is familiar with each insurance carrier’s claims procedures and processes. Our company performs the cleaning and the sanitizing; however, the replacements of new parts is done by a repair facility like a body shop. Our technicians are not licensed, mechanics. Call to discuss how your vehicle may be cleaned, sanitized and restored, with the costs paid for by your insurance policy. We can answer your questions 24 hours 24 hours a day. Go here too find out more about what our company does in the way of Vehicle Biohazard Cleanup.